The AMD Radeon HD 7970 is a high-end graphics card for desktop PCs It is based on the Tahiti core. It was the first GPU that was produced in 28nm and supports DirectX 11.1. The 7970 offers 2048 shader cores (1D) of the GCN architecture (first generation) and 128 texture units. The performance of the AMD Radeon HD 7970 is clearly better than the mobile Radeon HD 7970M (which is based on the Pitcairn with only 1280 shaders). Compared to the GeFore GTX 680, the 7970 is about 8% slower. Therefore, AMD later introduced a 7970 GHz Edition that was clocked at 1000 MHz and performed on the same level as the GeForce GTX 680. Thanks to Eyefinity up to 6 monitors can be connected to the 7970. The integrated UVD Video-Decoder is able to decode H.264, VC-1 MPEG-2, MVC, MPEG-4 Part 2 (DivX/Xvid) and Adobe Flash videos. 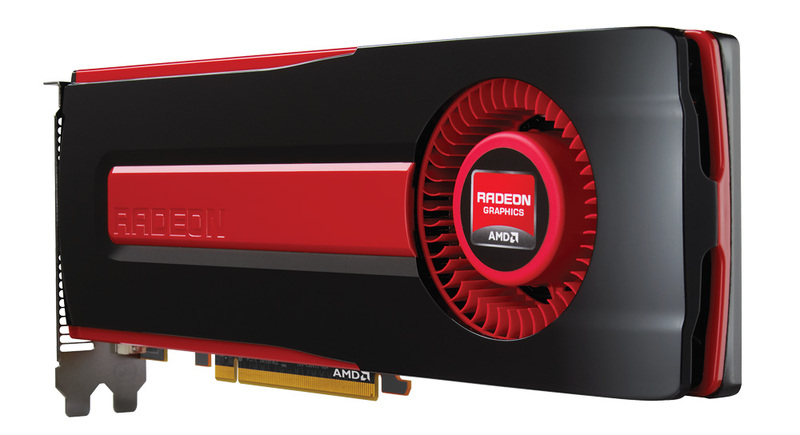 The AMD Radeon HD 7970 is rated with a TDP of 250 Watt.